On 14 February 1976, Barrett ‘Barry’ Lewis married fellow Sydney Council alderman Nanette Rudge. The couple retired to Port Macquarie in 1992. Barnett Lewis died in 2015, aged 87 years. Barrett ‘Barry’ Lewis was Alderman of the Sutherland Council in 1956–62 and 1965–68. He also served as an alderman on Ku-ring-gai Council in 1987-91, representing Roseville Ward. 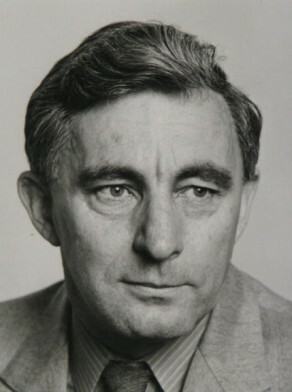 Lewis served as Alderman for Fitzroy Ward on the City of Sydney Council from 17 September 1969 to 16 September 1977; for Gipps Ward, 17 September 1977 to 19 September 1980; and for Fitzroy Ward, 20 September 1980 to 13 April 1984. During his time on council, he was a member of the Works Committee, 1973–79 and served as its Chairman in 1973, 1975 and 1976–78. He belonged to the Community Services Committee, 1969–72 and 1982, the Finance Committee, 1969–72 and 1980–81, the City Development Committee, 1973–77, the City Planning Committee in 1978, and the House Committee in 1979 and 1981. Lewis was a member of the Properties Committee in 1982 and the Works and Housing Committee in 1983. In 1977 he was appointed Council’s delegate to the Australian Road Federation (NSW Region). He was a member of the Board of Health of NSW in 1969, and the Parking Advisory Committee, 1972–80. Between 1976 and 1980 he was a member of the Board of Fire Commissioners representing Municipal and Shire Councils. Lewis was Deputy Lord Mayor, 1973–74 and 1976–77.